Do not forget to adopt and not to shop. Our Sanctuary will be overcrowded and there is no place for newcomers, if no one adopts! We are very happy if someone wants to give one of our dogs a forever home! Often Soldiers stationed in Kosovo find their way to our Sanctuary in Nagavc/Rahovec. Sometimes the soldiers fall in love with one of our dogs and want to adopt them. Sometimes we have adoptions by Kosovarians too! Street dogs make great pets but require time to adjust as well as lots of patience and attention in the beginning. We prefer our dogs adopted by people with dog experience - though all are welcomed. Please consider one of our dogs. EU import regulations require a rabies vaccine, followed by a blood test and a waiting period. Some countries also require a short quarantine of 3 months. This is because Kosovo and Albania are not Rabies free. 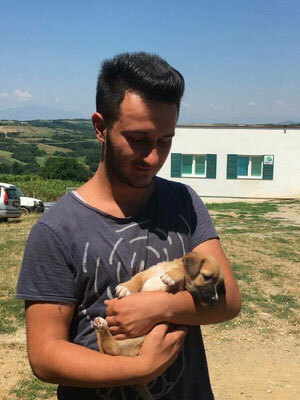 Never take a puppy with you to EU without proper EU documents, because it will be confiscated at the border or point of entry and euthanised. Its not worth the risk. 90 days is not so long in the life of a dog and we help with the quarantine. The requirements for USA and Canada are different and often do not require a 90 days wait. But please note that USA shelters euthanise Millions of unwanted dogs every year. We are therefore strictly against sending dogs to USA! IMPORTANT: Our foundations main focus is CNVR, so we are unable to fund the adoption costs. But the costs of adopting and transporting one of our dogs is often less expensive than adoption fees in many countries. Our dogs need a home too. We are experts on the dogs medical requirements and can help you to prepare the dog for travel. In some case our supporters may even volunteer to take a dog and bring it to you, when they travel. 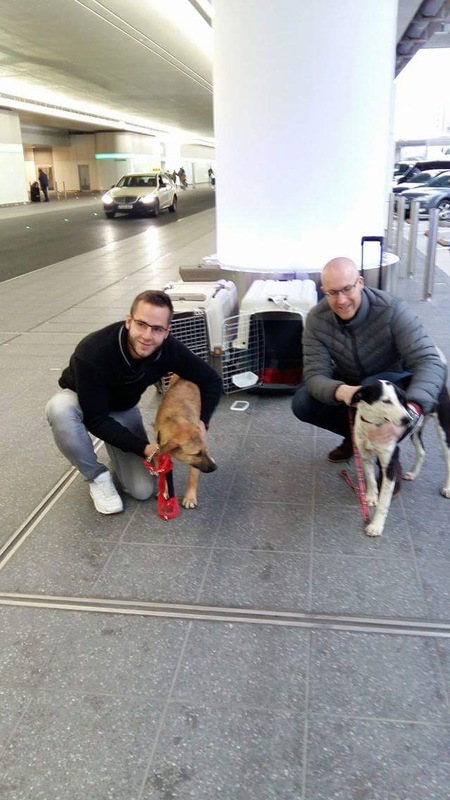 You are very welcomed to adopt one of our dogs if you can cover medical treatment, fostering and travel (30-50 Euro per month for foster, Bloodtest including UPS: 87.80 Euro, Transportcosts for dog around 200 Euro and your flight). For more information please contact us. 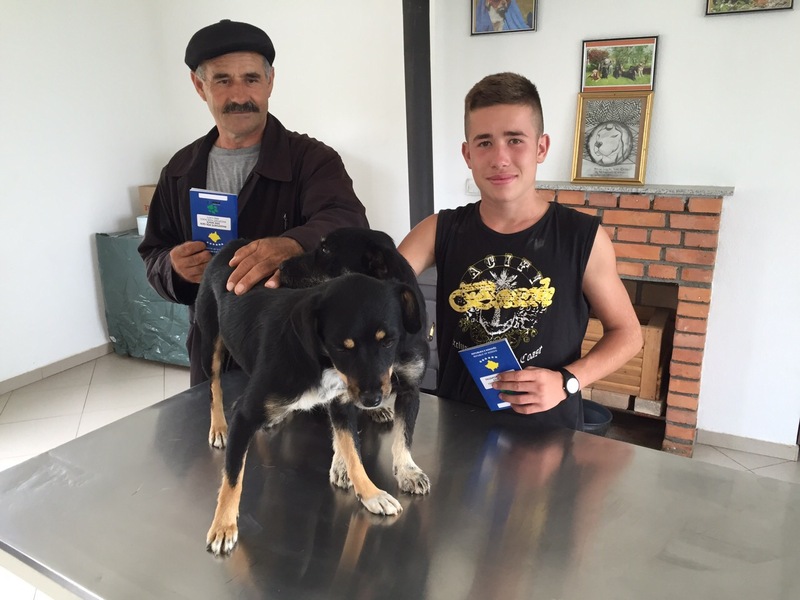 Import of dogs requires EU Papers and additional an import authorisation. Furthermore the dog must be accompanied by the owner on a flight. Importpapers are required. The dog can be accompanied by any person on the flight. 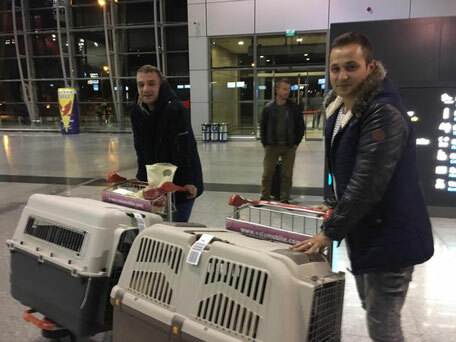 Our Veterinarian and his workers will help you and bring the dog, if necessary, to the airport Prishtina/Kosovo or Tirana/Albania. 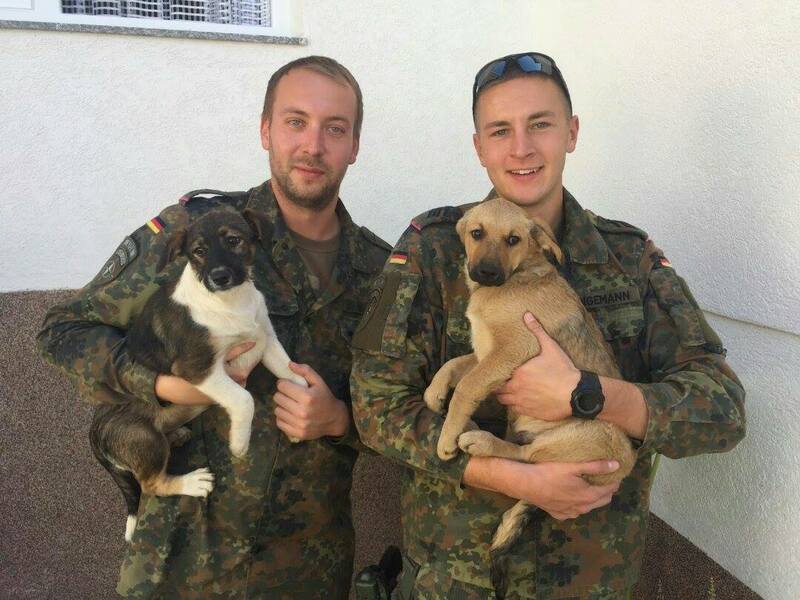 Our adopters, Soldiers from Germany, Swiss friends and Kosovarians!